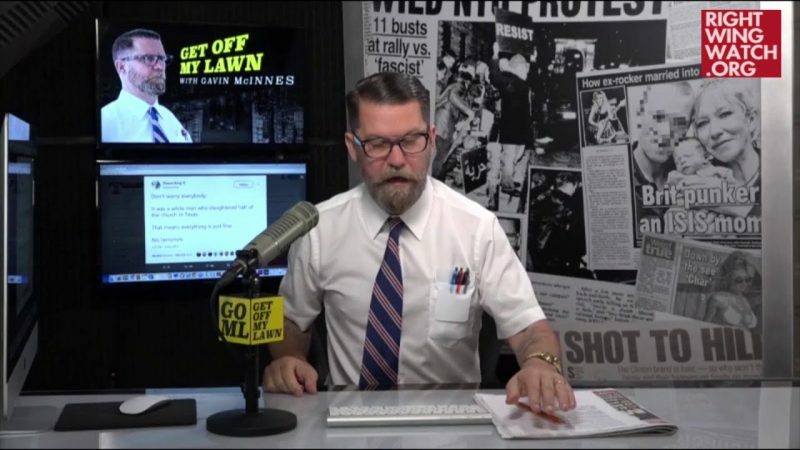 Last week on his nightly “Get Off My Lawn” program, McInnes briefly discussed recent waves of account suspensions doled out by YouTube moderators in efforts to more strictly enforce the site’s community guidelines against conspiracy theories and extremist content. McInnes expressed his sympathy with various personalities who have been suspended from various platforms and warned that the alleged censorship will eventually target all conservatives instead of just extreme ones. 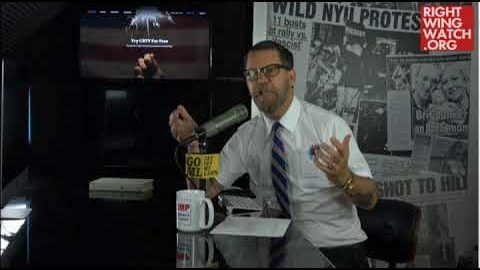 “It goes Richard Spencer, then it’s ‘Baked Alaska’ [Tim Gionet], then it’s Laura Loomer, then it’s Ezra Levant, and then it’s Breitbart and so on and so on,” McInnes said. Earlier this year, Right Wing Watch caught CRTV attempting to cover up racist remarks McInnes made about Sen. Cory Booker. CRTV reported some of our videos to YouTube for copyright violation, which we successfully appealed, and edited their archive tapes to exclude McInnes’ statements.